I’ve hiked the first five miles of the trail in the last couple of days. I have to admit that the hot humid weather has made for uncomfortable hiking. The good news is I haven’t encountered many mosquitoes. 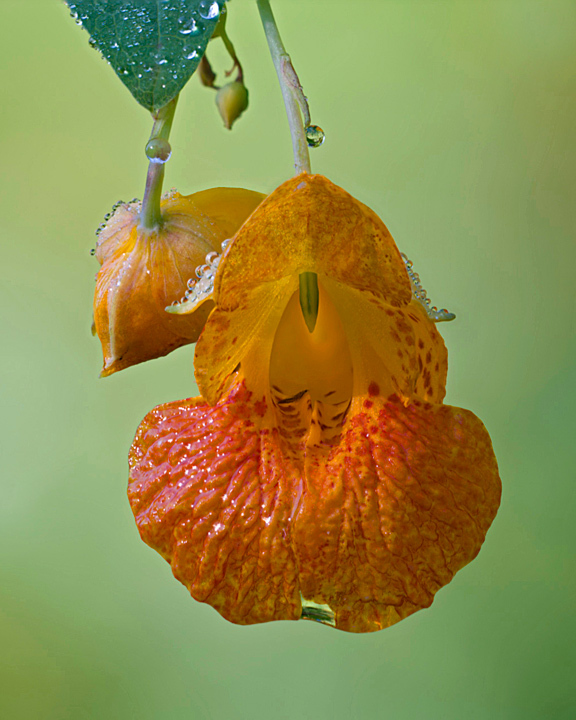 There are a variety of flowers out along the trail. The Touch-me-nots are starting to bloom all along the trail. There are quite a few birds out along the trail I saw eagles at the one mile marker on Tuesday and heard several others across the river in the trees. 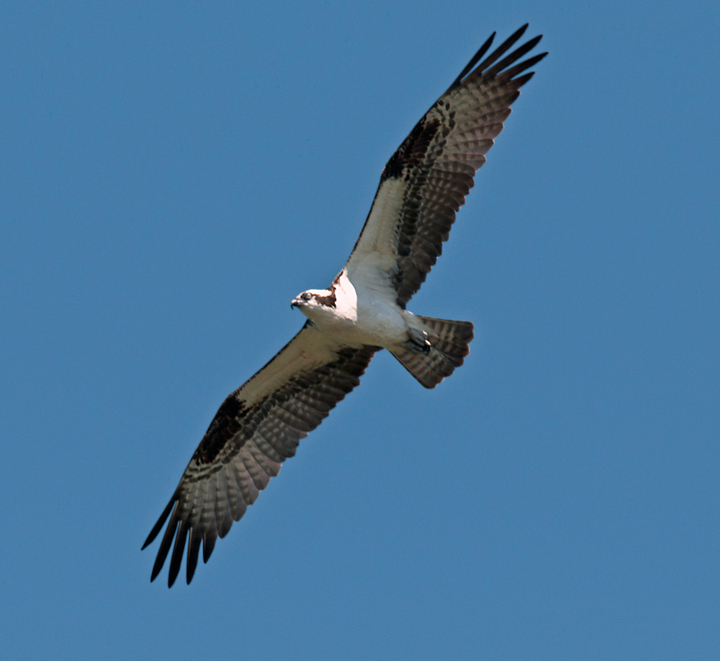 On Wednesday I saw two more immature eagles and an Osprey at the four mile marker. It pays to look up into the sky when you are on the trail. 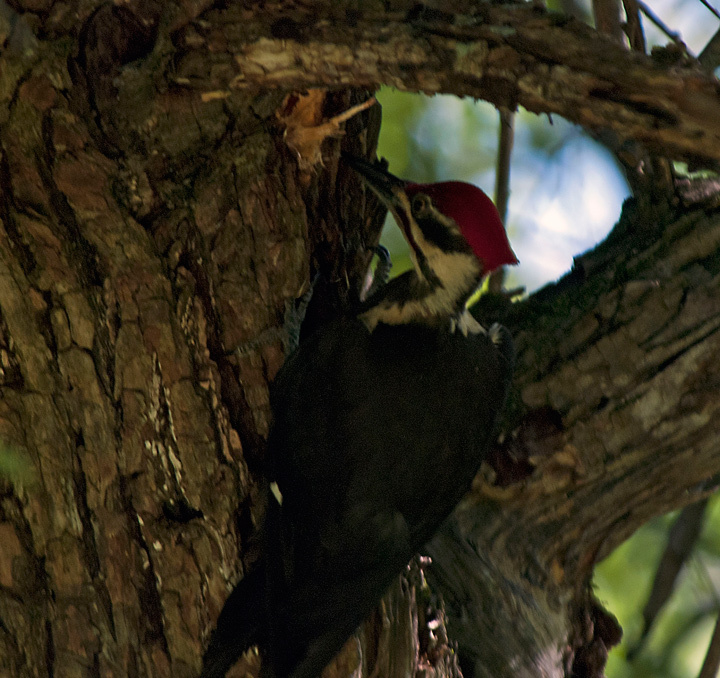 I also had the opportunity to observe several Pileated Woodpeckers while they were looking for insects in a tree. I frequently see and hear them along the trail but haven’t been able to get any photos. 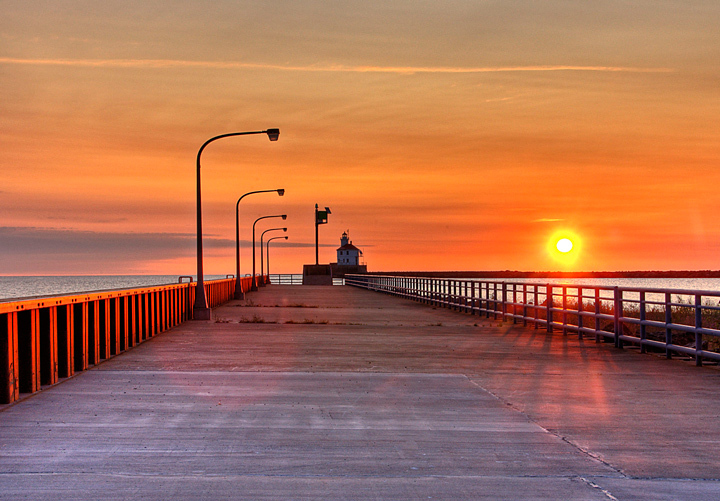 I have three photographs appearing in the Wisconsin’s Great Lakes 2010-2011 Calendar. 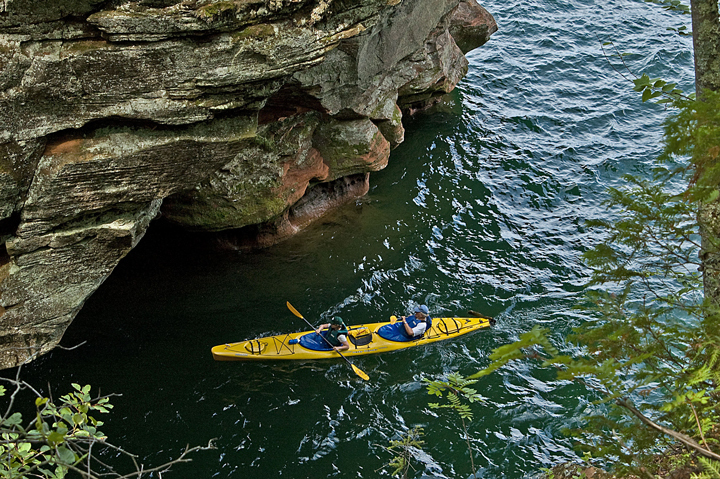 The photo for August shows two kayakers entering one of the Apostle Islands Sea Caves. 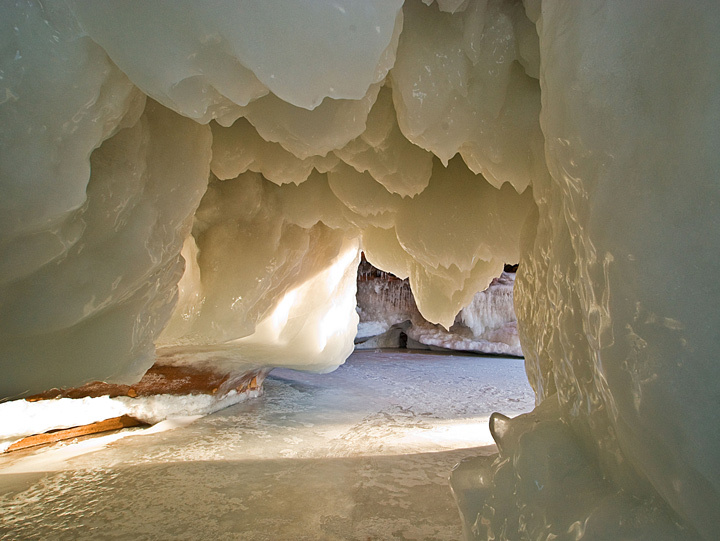 The second is the Apostle Islands Ice Caves in the winter and the third is Wisconsin point lighthouse. 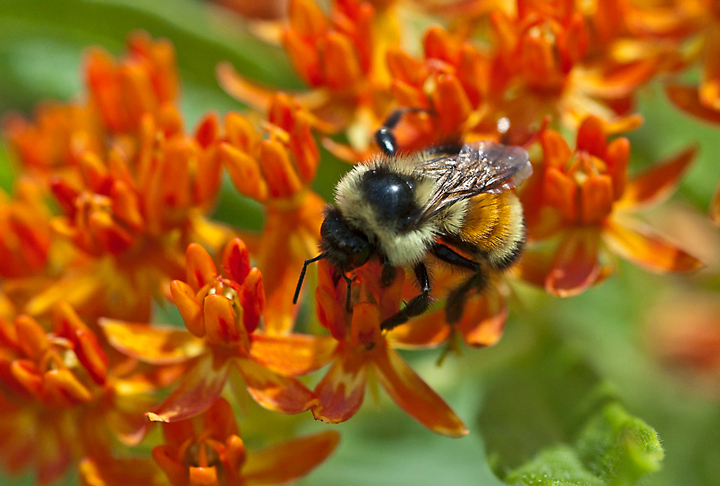 It is a great time to visit the area if you like wildflowers. 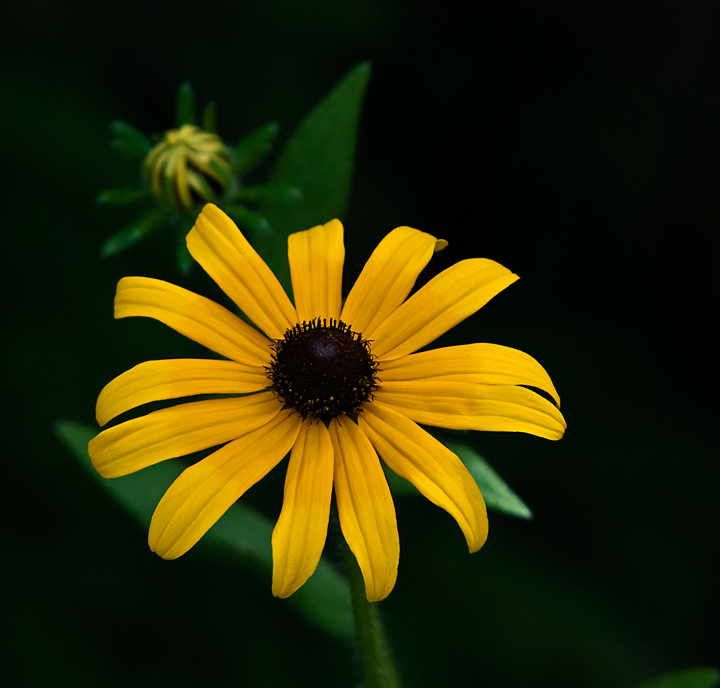 I counted over 40 different flowers blooming along the prairie and wetlands trails. I usually photograph Great Blue Herons at a rookery along the Ice Age Trail but the rookery is located in an aspen grove. Many of the dead aspen have fallen down and the birds have moved their nests into the live trees. It is still possible to get some distant shots early in the spring but once the leaves are out it is impossible to see the birds. This spring I was commiserating with the ranger about the problem and someone overheard the discussion and mentioned the Island Lake Rookery. This past week was the first chance I had to visit it. Turns out it is a great location for photography. You have a clear view of the nests from along the road. The nests are all in dead hardwood trees in a swampy area. There about 25 Great Blue Heron nests visible from the road with more nests out of view. 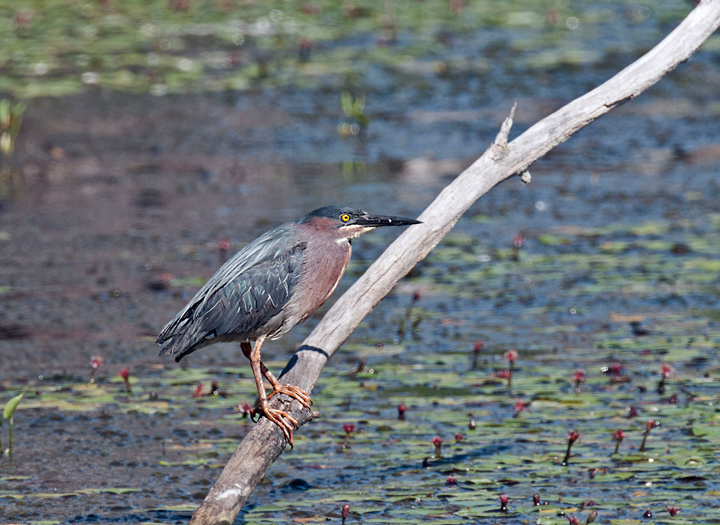 In addition to the Great Blue Herons there were at least three pair of Green Herons working the area and an Osprey nest. I spend a morning watching the Herons fly in to feed their young. 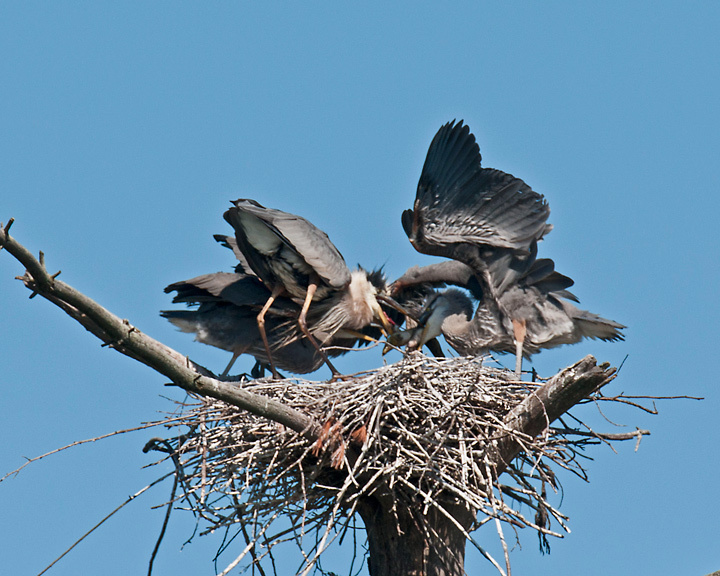 It was really exciting when the parent arrived at the nest and the young Herons started vying for food. The Osprey nest was also occupied and there were 4 Osprey either on the nest or flying in the area. More shots and directions to the area are on my website. I’ve been out hiking the trail a number of time in the past couple of weeks. The bad news is the hot humid weather. 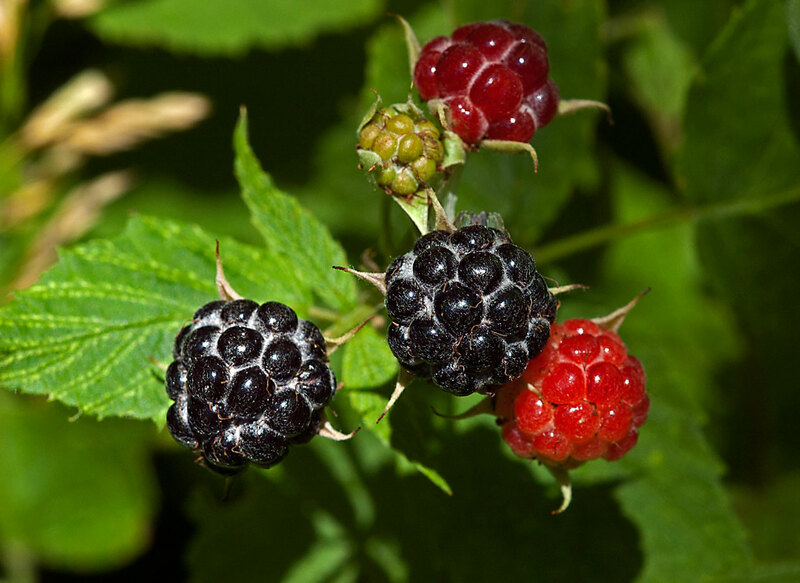 The good news is not many mosquitoes and the raspberries are ripe for picking along the trail. I’ve been seeing lots of wildlife along the trail. A variety of butterflies, birds and some deer. I saw a doe and fawn walk across the mouth of a small creek where it flows into the Red Cedar River. 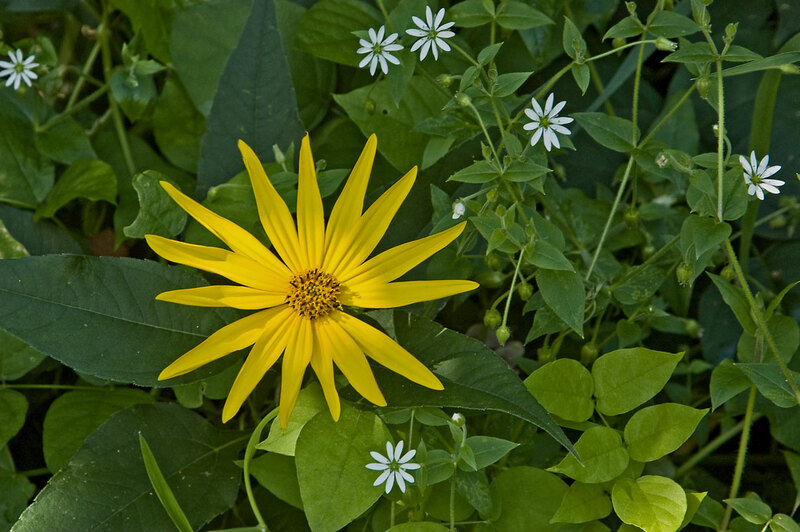 There is an increasing number of summer wildflowers blooming along the trail. More photos at my website.